Easter is fast approaching, and our maraschino cherries and glace fruit mixes can help make your holiday feast memorable this year. Our maraschino cherries are available for purchase from our website, and our glace fruit mixes can be purchased and shipped by calling our office at 1-800-431-0718. 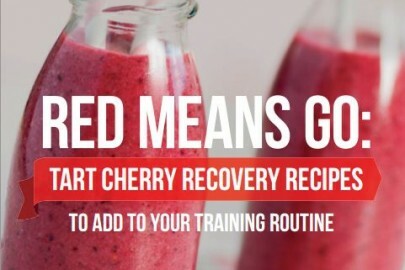 Let us know if you try these recipes and how they turn out! Combine 2 cups of the flour, yeast, granulated sugar, cinnamon, nutmeg, cloves and salt in large bowl. Heat milk and butter in small saucepan until butter is melted and milk registers 125 to 130 degrees; add to flour mixture mixing until smooth. Beat in eggs. Mix in enough remaining flour to make smooth dough; mix in raisins, pineapple and fruit & peel mix. Knead dough on lightly floured surface until smooth and elastic, about 5 minutes. Place dough in bowl; let rise, covered, in warm place until double in size, 30 to 45 minutes. Punch dough down. Shape dough into 3 dozen balls; place 2 inches apart on greased cookie sheets. Let rise, loosely covered, until double in size, about 30 minutes. Beat egg white and water until foamy; brush over tops of rolls. Bake in preheated 375-degree oven until golden, about 20 minutes. Cool on wire racks. Mix confectioners sugar with enough milk to make thick glaze consistency. Drizzle a cross of frosting over the top of each roll. Drain cherries and reserve 6 cherries for garnish; roughly chop remaining cherries. In a medium bowl, whisk together eggs, orange zest, ¾ c bourbon and vermouth until combined. Set aside. In a large bowl, combine flour, sugar, baking powder, baking soda and salt. Blend with an electric mixer on low speed, adding butter, 1 chunk at a time. When all butter has been incorporated, beat at medium-low speed until mixture is crumbly, about 30 seconds. With mixer on low, add egg mixture in a steady stream. Scrape down the sides of the bow, increase speed to medium-high, and beat until batter is light and fluffy, about 2 minutes. Stir in chopped cherries. 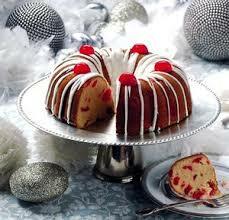 Lightly grease of spray a nonstick Bundt pan and pour batter evenly into pan. Rap on counter to release any air bubbles. Bake in preheated oven on a lower rack until a toothpick inserted into the middle of the cake comes out clean, about 40-45 minutes. Rotate the pan halfway through baking. Let cool in the pan for 15 minutes. Turn the cake out onto a cookie sheet or serving platter and drizzle with glaze while cake is still slightly warm. Garnish with reserved maraschino cherries. The Best Cherry Pie Ever! Plump and juicy cherries are one of summer’s favorite fruits. 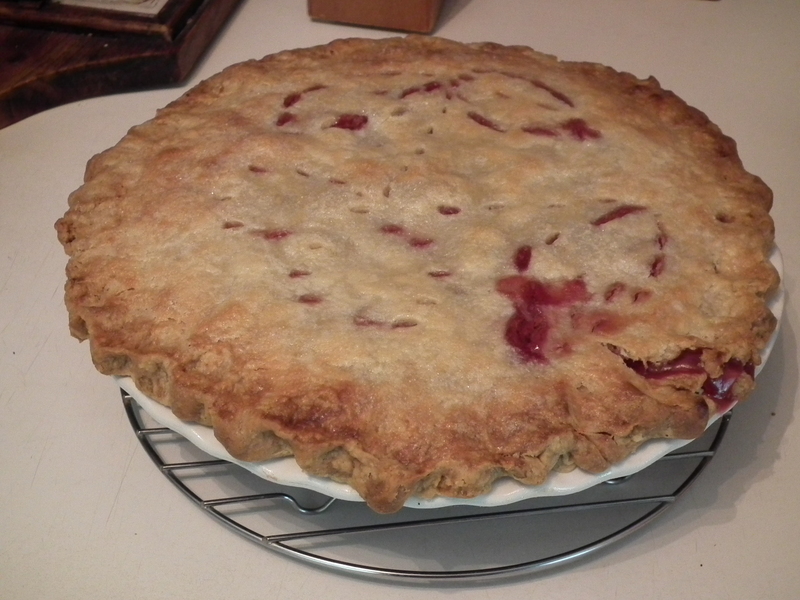 There’s no better way to take advantage of the bounty than to bake up a homemade cherry pie! We’d love to have you stop by our Suttons Bay office and meet our resident recipe expert, Misha. While you are there, make sure you pick up plenty of frozen tart cherries to make your pies with! In a large saucepan, combine the sugar, cornstarch, salt; stir in cherries and extract until blended. Let stand for 30 minutes. Bring to a boil over medium heat; cook and stir for 2 minutes or until thickened. Remove from the heat. Line a 9 inch pie plate with bottom crust. Fill with cherry filling; dot with butter. Top with remaining top crust. 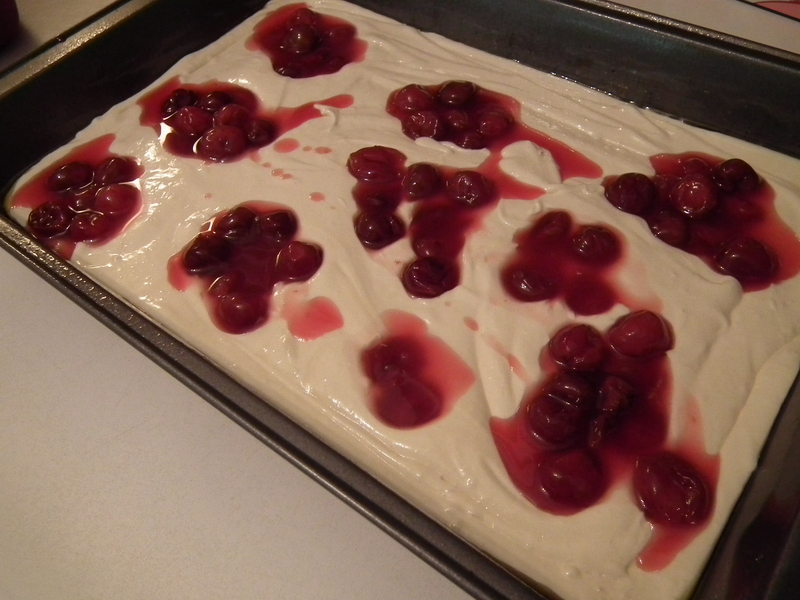 (you may wish to cut out some pretty cherry shapes and leaves before placing the crust on top of the cherry filling). Trim, seal and flute edges. Cut a few slits in the top crust for steam to escape while baking. Wisk egg yolk and brush over top crust. Sprinkle with sugar. Bake in a pre-heated 375 degree oven for 45 minutes or until crust is golden brown and filling is bubbly. Cover edges during the last 20 minutes to prevent over-browning. Cool on wire rack. Mix flour, salt & sugar in large mixing bowl or food processor. Add butter & lard and cut into the flour mixture using pastry cutter or pulsing food processor. The mixture should look like large crumbs and begin to cling together. Do not overmix. Sprinkle water over the dough and with hands mix until dough holds together. Shape into 2 discs. Wrap with plastic wrap and keep refrigerated until ready to use. It’s always helpful to have canned pie filling on hand to whip up a quick dessert. What could be better than to make up a batch of your own homemade to have on hand! Place cherries in strainer set over a bowl to collect the juice. Whisk sugar, cornstarch and salt together in a saucepan until blended. Combine cherry juice and water and slowly wisk into the sugar mixture. Place pan over medium heat and heat to boiling, whisking constantly until very thick. Remove from heat and stir in extract and cherries. Ladle hot cherry pie filling into jars leaving 1 inch headspace. Remove air bubbles. Wipe rim, top with lid and band and adjust until fit is fingertip tight. Process filled jars in boiling water canner for 35 minutes. Remove jars and cool. Check lids for seal after 24 hours. 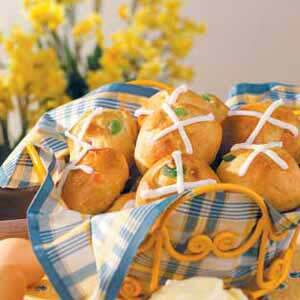 In a mixing bowl combine cake mix, oil, eggs, extract and water. Once combined, beat for 2 minutes. Pour into a greased 13”x 9” cake pan. Drop the filling by spoonful over the batter. Using a table knife or spoon, swirl the filling into the batter. Bake at 350 degrees for 30 – 35 minutes or until lightly browned on top. Cake can be served by itself or wonderful with a scoop of ice cream or whipped cream. Scoop pie filling onto cake batter. Make the pie filling first; in a medium saucepan, bring the water, sugar, cornstarch, and vodka to a boil, whisking often. Boil for 1-3 minutes or until thickened. 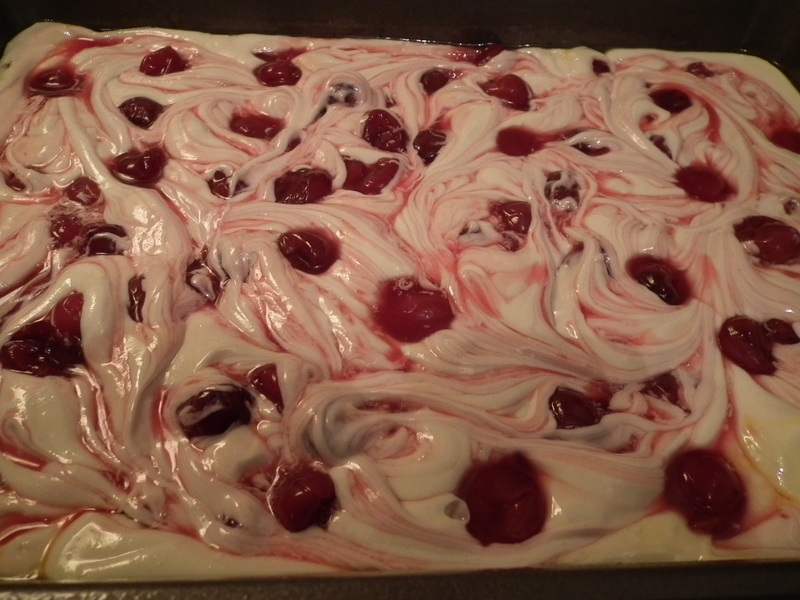 Remove from the heat and stir in almond extract and food coloring then stir in the cherries. Cool to room temperature. Make the ice cream; in a large saucepan, warm the milk, ½ cup cream, sugar, and salt. In a small bowl, whisk together the yolks until lightly beaten. Whisk in some of the warm milk mixture then pour it all back into the saucepan. Bring to a boil, whisking often, until thickened. Place the remaining ½ cup cream and vanilla in a heatproof bowl sitting in an ice bath and place a fine mesh strainer on top. Remove the ice cream from the heat and pour through the strainer, discarding anything left behind. Cool to room temperature then refrigerate for 1 hour or until cold.